As the reliable technology and paper production partner for the production of toilet pulp, Leizhan has a complete paper machinery system for paper and pulp production contains tissue paper stock preparation system to paper production machinery. Leizhan toilet/tissue paper making system can use virgin pulp, wood pulp, white shaving and so on as raw materials to produce high quality toilet/tissue paper. The 20T/D tissue/toilet paper stock preparation system contains the following machines: D type hydrapulper, Dump pump, High density cleaner, Inclined thickener, Pulp chest agitator, Pulp pump, Conical refiner, Double disc refiner, Pulp chest agitator, Pulp pump, White water pump, Pre-machine screen, etc. 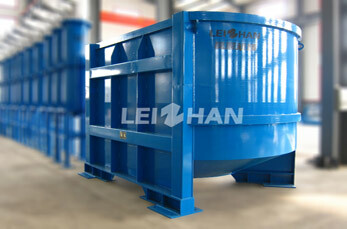 Leizhan offer advanced technology and services for customer tissue paper processing: from spare parts to complete paper production project.